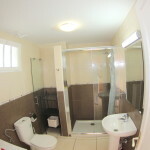 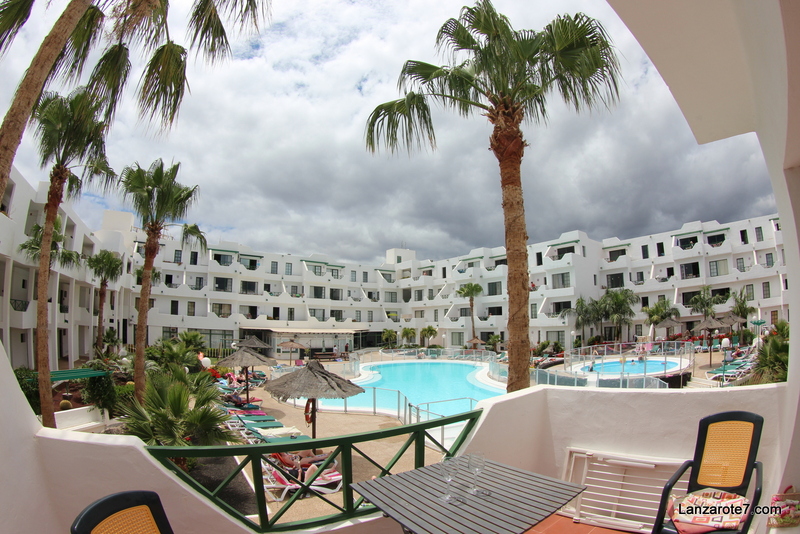 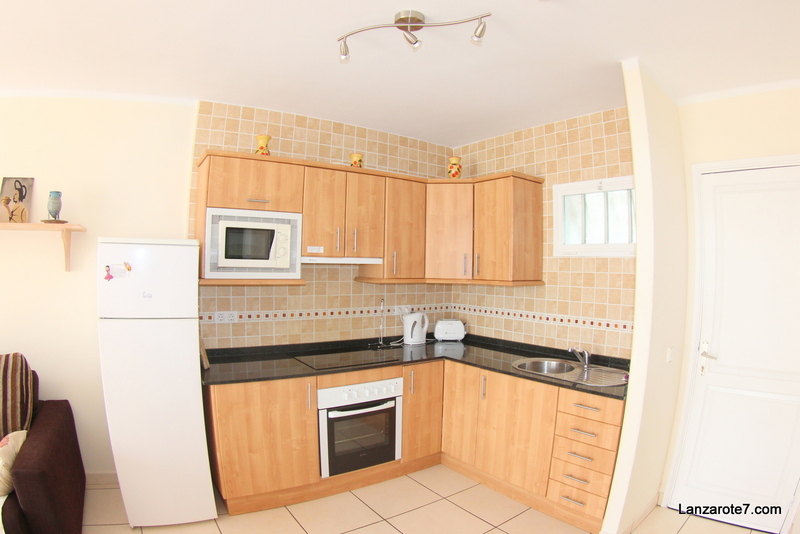 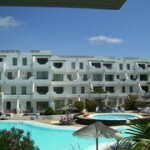 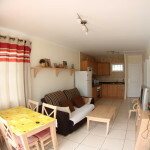 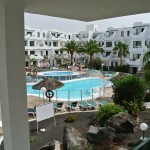 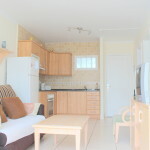 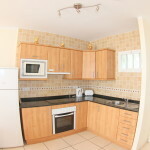 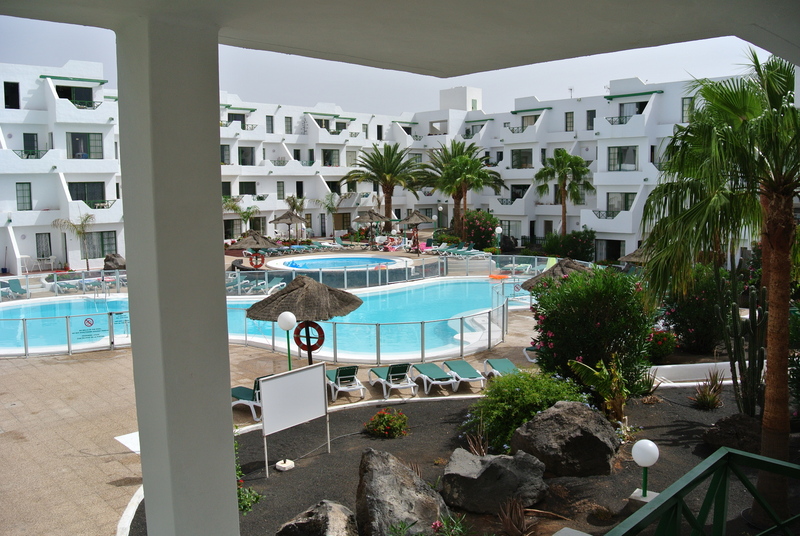 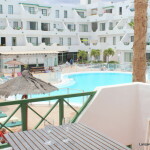 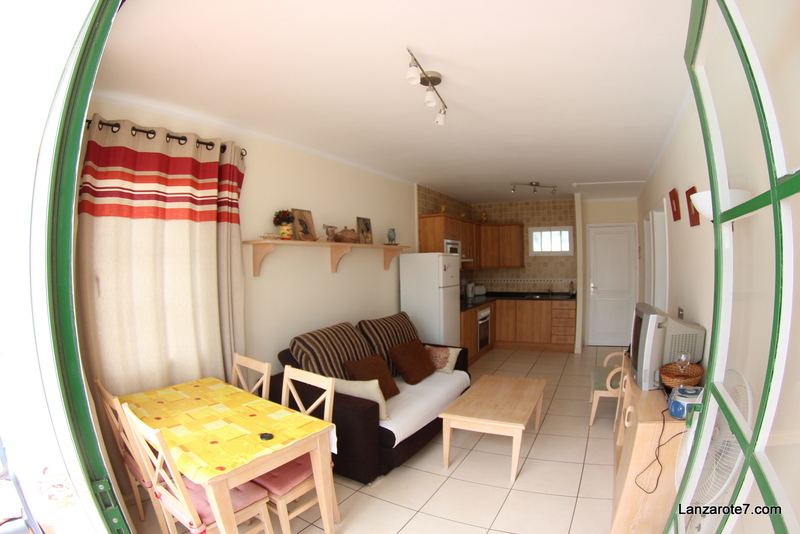 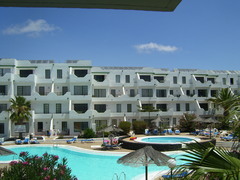 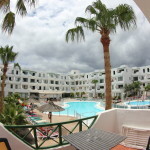 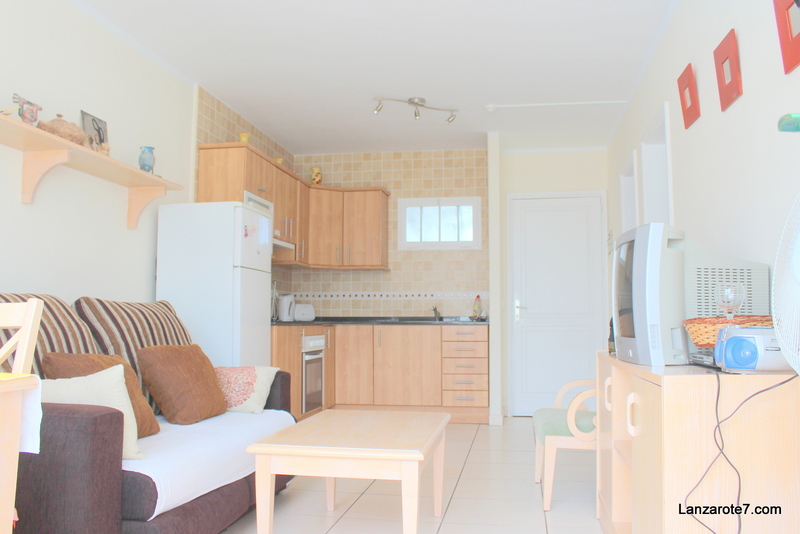 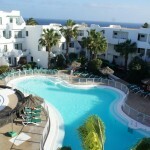 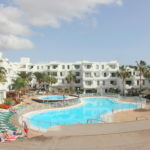 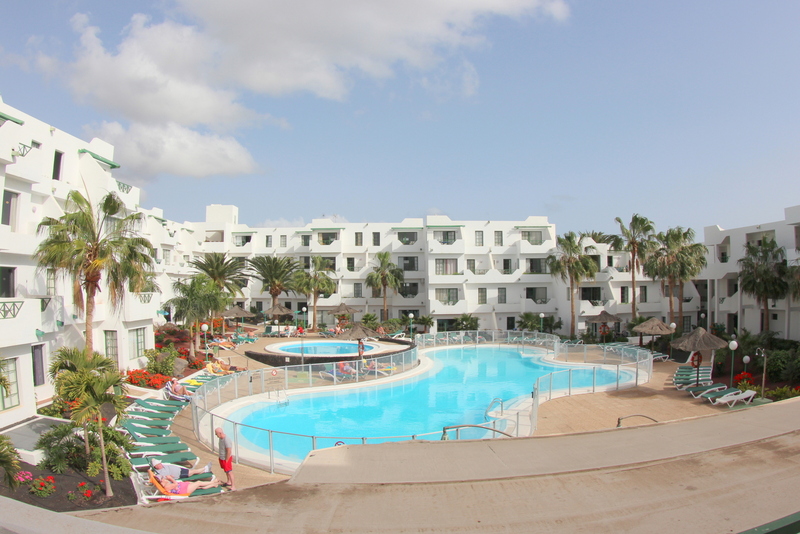 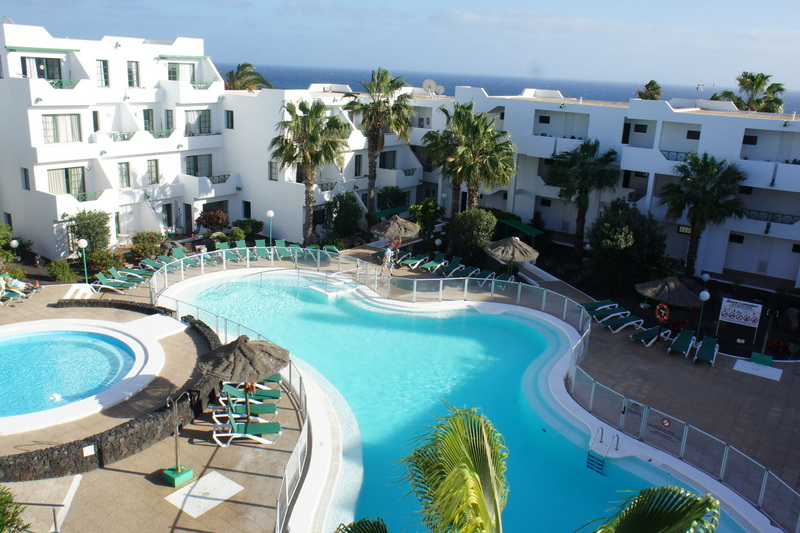 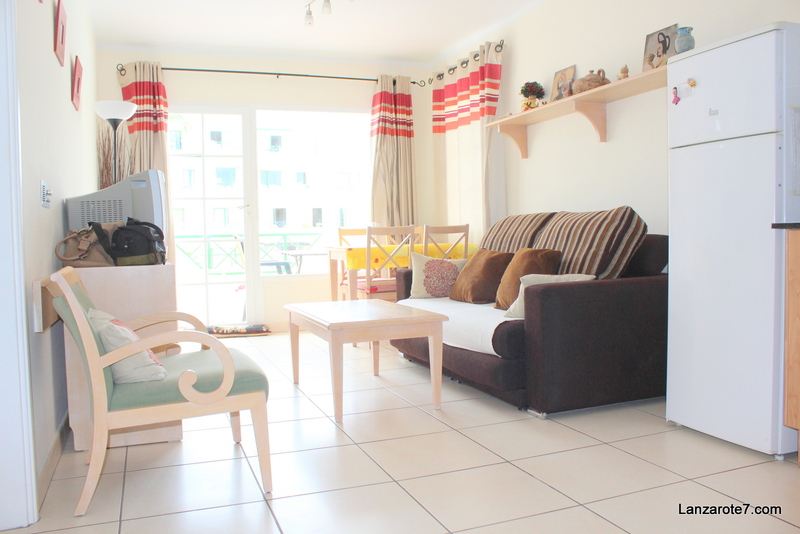 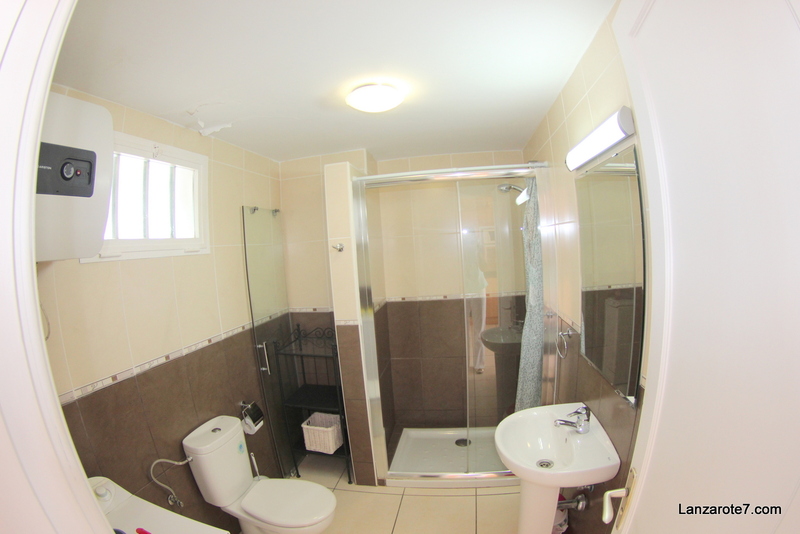 < good sized one bedroom apartment on a gorgeous holiday complex overlooking the well kept pool area . 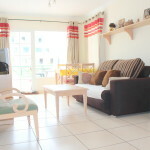 Large living room with breakfast bar and kitchen, bathroom, good sized bedroom and good sized balcony . 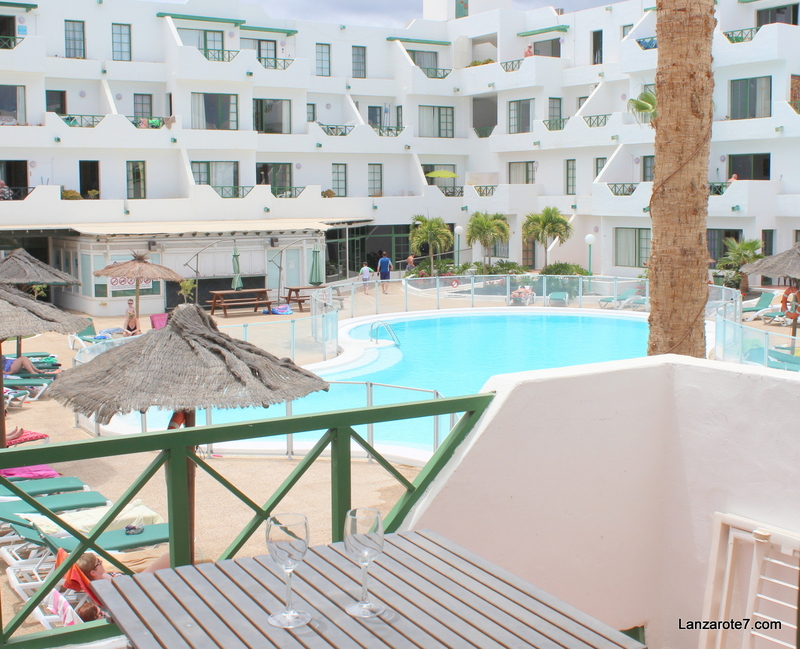 This well runned complex is close to the beach and offers services like reception, two swimming pools and kids pool and kids playground and security .